While most Sasquatch sightings involve a brief glimpse of a creature, this story's unique because the man reports to have been pursued while riding his ATV. 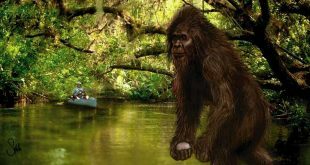 According to a recently added report on www.bfro.net, a man in Adams County, Ohio has reported an unnerving encounter with a cryptid matching the description of Sasquatch. While most Sasquatch sightings involve just hearing sounds or catching a brief glimpse of the creature from a distance, this story is unique because the man reports to have been pursued while riding his ATV. The attack took place two years ago, in November 2012, on an old cattle road off Unity Road, near West Union. The man and his 4 year old cousin were on their own property searching for good locations to set up blinds for the forthcoming deer hunting season. It was around 5:30pm and the while the sun was starting to set, there was still plenty of light. Deciding to turn back for the day, the pair jumped on the ATV and headed home. 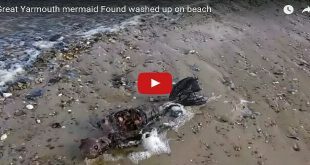 They’d just started down the trail when the man heard a loud thumping noise from behind. He turned his head and, to his horror, caught sight of a large creature chasing them with a log in its hand. 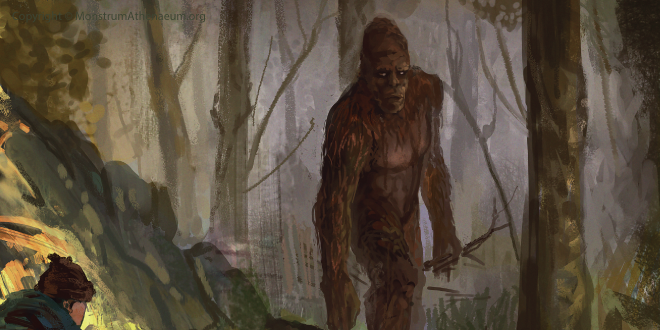 The cryptid was estimated to be ten feet tall and matched the general description of a Sasquatch – large head, flat nose, arms covered in long hair and no visible neck. The passenger watched the creature pursue them until (must have felt like an eternity) they reached the top of the hill and entered a level field. The driver was then able to speed up to around 30 mph and put a little distance between them and the creature. While most Sasquatch sightings involve a brief glimpse of a creature, this story’s unique because the man reports to have been pursued while riding his ATV. When they exited the field onto the dirt road leading back to their house, the creature stopped and threw the log at them. Fortunately it missed and the log landed in the field. The following year, again in November, the man encountered the creature, or a very similar one, in the same area. He was on the same trail as the previous time and was setting up another deer blind approximately 200 yards to the south-west of the previous sighting. He looked up and saw something large and dark staring at him from behind a tree. He quickly grabbed his binoculars and was able to catch a glimpse of the Sasquatch-type creature before it vanished. 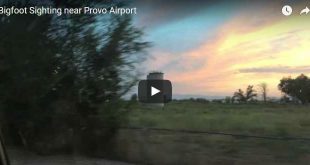 Steve Nystrom, a reporter from the BFRO, followed up on the man’s story and investigated the spot next to the tree where the creature had been hiding. Nystrom reported finding a deer carcass in the field nearby and the man recalled discovering other deer carcasses over the years which were unusual because the legs had been torn off and no signs of man-made wounds such as gunshots or arrows were present. At the end of his investigation, Nystrom concluded the man’s Sasquatch sightings were credible. The BFRO database has a number of sightings from Adams County as well as neighbouring areas of Ohio and the very landscape of the area leads credence to the stories. With a large amount of wildness crossed with faint trails, few people venture into these areas. A cryptid could easily make itself home there with only a minimal chance of encountering a human – of course the human would have to live to tell the story. 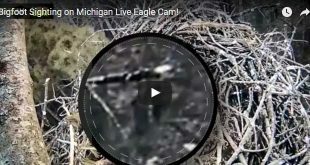 You may also be interested in a similar story from Lake Tahoe where a skateboarder accidentally caught what appears to be a Bigfoot on camera as it watched him from the tree line. It’s now a year later, to the month, and only one question remains; is he going back out there to set up another deer blind? Never tease a Sasquatch. Not even once or twice — the Sasquatch will not like it and teasing isn’t nice. Really-he’ll knock you off your dang ATV!